The Site Sentinel® X1-001-DA-SF is our flagship “Utility Grade” IoT product equipped with Sigfox Radio . The Site Sentinel X1-001-DA-SF provides highly-reliable direct-to-cloud server data monitoring in a single package thanks to its built-in Sigfox IoT Radio module, permitting use on Sigfox Radio networks in the RCZ4 region, covering Australia, New Zealand, South East Asia and South America. The Site Sentinel X1-001-DA-SF is designed for high volume, ultra-long life “battery only” deployments, with the user being provided with complete control of wake-from-sleep and sensor power control regimes, as well as report-to-host intervals. Extensive user configurable Analog and Digital Alarming functionality is also provided, allowing user controlled event driven real-time data transmission. 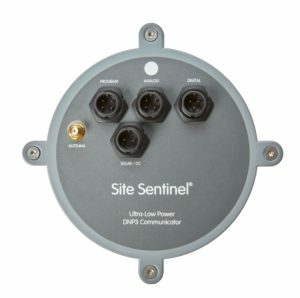 The Site Sentinel X1-001-DA-SF device is currently offered in a single model variant and features in-built Solar Regulator / Battery Charger, ideal for deployment at remote sites where high message count and/or external sensor power requirements are likely. The Site Sentinel X1-001-DA-SF device supports connection to the XBAT-033 high-capacity extended battery pack for ultra-long deployment life in battery only scenarios. The Site Sentinel X1-001-DA-SF device offers end users a cutting edge hardware platform design and industry-leading ultra-low battery power consumption along with an impressive IP Rating of IP68 (4 metres / 4 days). 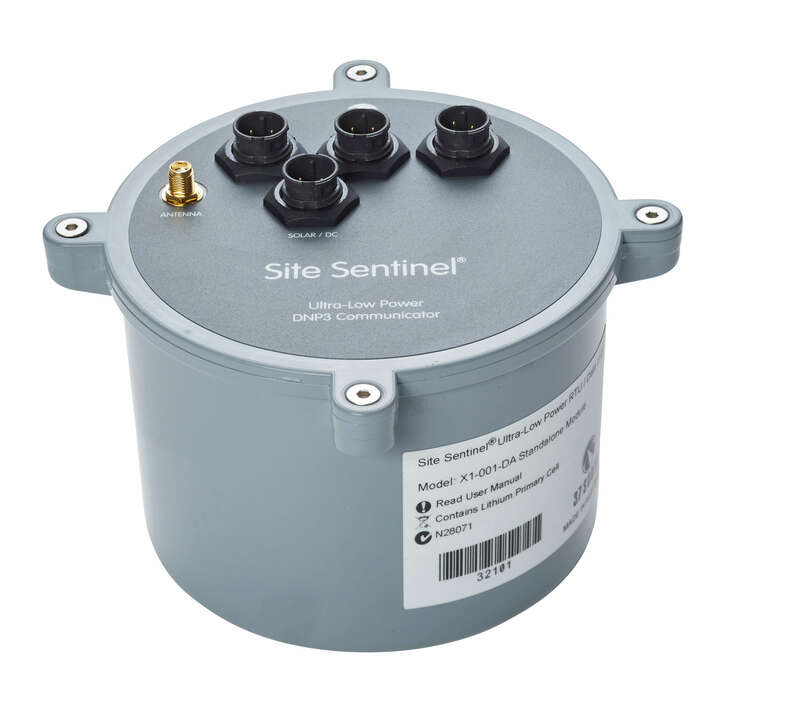 The Site Sentinel X1-001-DA-SF device is equipped with both Internal and External Antenna connections, providing users with maximum deployment flexibility. Every Site Sentinel X1-001-DA-SF device is shipped with a battery, stainless steel mounting bracket, installation kit and a default device configuration, permitting operation straight out of the box.